Strong and secure, vinyl windows offer the benefits of low maintenance, high energy performance and durability. Windows from the Alliance Vinyl Windows Company, Inc. have an additional bonus for your consideration – they are available in almost any color you can imagine. 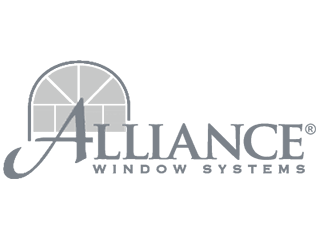 Founded in 1956 and still privately held and family owned, the Alliance Vinyl Windows Company creates vinyl windows and patio doors as part of the American Window Alliance, a national network of independent vinyl window manufacturers whose members craft windows to the organization's exacting standards. With Alliance Vinyl Windows, you get the best of both worlds: the oversight and knowledge gained by a combined 300 plus years of experience in the Alliance, plus a local manufacturer who understands the needs of our area. The Alliance Vinyl Windows Company builds windows for new construction and replacement applications in all styles, including double- hung, casement, bay, bow, and awning windows. The windows can be configured to meet ENERGY STAR® requirements. 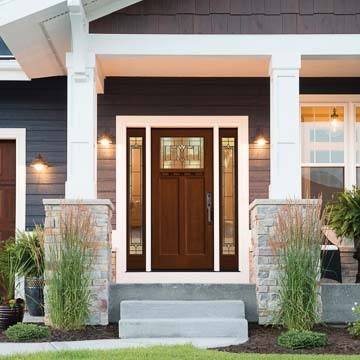 With so many options and an industry-leading warranty, Chapman Windows Doors & Siding is confident you will be satisfied when you select a window from the Alliance Vinyl Windows Company. 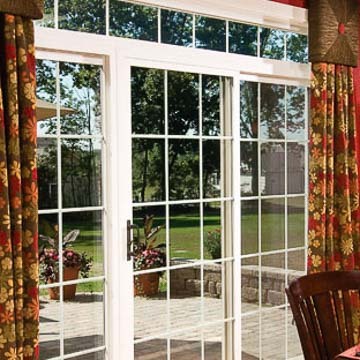 The Hawthorne Window family is designed for replacement applications. These superior vinyl windows are available as double-hung windows, gliders, casement windows, awning windows, and bay or bow windows. 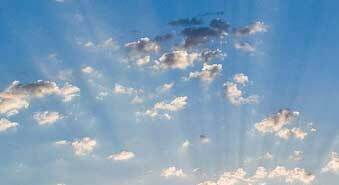 With heavy-duty weather tight hardware, the windows are guaranteed for life. Each window type includes construction details designed to increase the efficiency and operating ease of the window. Examples include brass rollers on gliding windows, the Coil Constant Force Balancing system on double-hung windows, and so on. You can select from 28 standard exterior colors that complement most building styles, or request a custom color to be applied at the factory. Available interior finishes include two neutral shades and two wood-grained options in dark oak or light oak. Grids include flat, contoured, or pencil grids between the glass or sturdy PVC Simulated Divided Lites (SDLs) in three styles. The windows can be furnished with dual-insulated clear glass with the energy-saving Duralite® composite warm edge spacer or the highly efficient InnovativeE® glass (standard on some windows) with the Duralite® spacer. The Belmont Window family is a highly efficient, high-grade vinyl replacement window available at an economical price point. Offering more styles than are usually found at this price, the Belmont line comprises single-hung or double-hung windows, single or dual gliding windows, casements, picture windows, awning windows, and bay or bow windows. As with the Hawthorne windows, each style includes the extra features that make a great window, from the integral interlocking meeting rail to add security on the single-hung window, to the top-rated hardware system on the awning window, or the adjustable suspension system on the bay and bow windows. 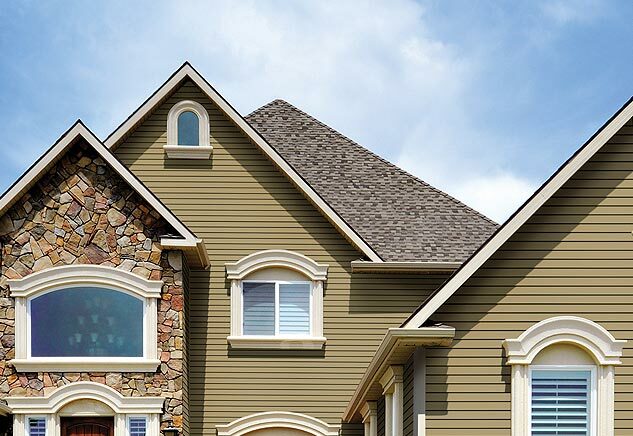 The Alliance Vinyl Windows Company's extensive exterior color collection is likely to have a color that suits your taste, but you can also request the factory-applied custom color treatment. Interior finishes consist of two neutral shades. Grid options match those found in the Hawthorne window. The windows can be furnished with dual-insulated clear glass with the energy-saving Duralite® composite warm edge spacer or the highly efficient InnovativeE® glass (standard on bow and bay windows and optional on other styles). Matching patio doors for the Hawthorne and Belmont collections feature fusion-welded corners (which maintains the straightness of the sash panel), single point locking hardware, insulated glass, and easy touch operation. The patio doors are available in a wide variety of stock sizes, with custom sizing also possible. Optional items include hardware upgrades, InnovativeE® argon filled glass, jamb extensions, selections in grids and SDLs, and a wider exterior casing. The Windgate product line, designed for new construction projects, consists of the highest quality vinyl with a 3 and 1/4 inch jamb depth, fusion-welded frames and sashes, and three- quarter inch thick insulated glass. The Windgate collection has single-hung or double-hung windows, single or dual gliding windows, casements, picture windows, awning windows, and bay or bow windows, plus specialty shapes to add architectural detail. In keeping with the Alliance Vinyl Windows Company's attention to detail, the windows are engineered with upgraded components according to window style. These include the in-frame double- wall integrated “J” channel on the single- and double-hung windows, gliders, and picture windows; low-torque operating mechanisms on the casement windows, and more. Windgate windows are available in 28 standard exterior colors or custom colors. 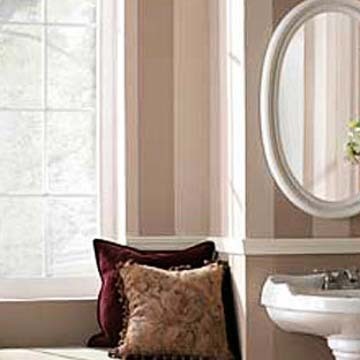 Warm- toned neutral interior shades work with any decorating scheme. Other options include beween-glass grids or SDLs in three configurations, InnovativeE® glass (standard on bow and bay windows and optional on other styles), jamb extensions, and a wider exterior casing. Matching Windgate vinyl and glass patio doors are available in double- or triple-paned styles in most popular sizes. They can also be custom sized. The doors are designed to let in the most light possible while employing construction technology that maintains strength and security. Single point locking and dual insulated glass is standard while potential upgrades include multi-point locks, designer handles and InnovativeE® glass. 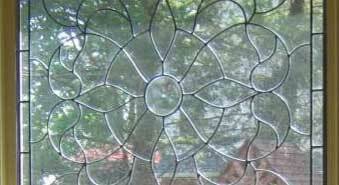 Color and grid choices echo those found in the Windgate windows. 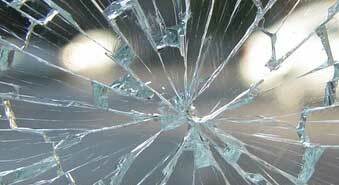 The Alliance Vinyl Windows Company backs its products by offering one of the best warranties you will find. Hawthorne, Belmont, and Windgate windows and doors are covered by the Assurance Plus® Limited Lifetime Warranty. This comprehensive warranty covers materials for a lifetime and labor for five years. It includes a standard 20-year commercial warranty and can be transferred to a second owner. The Assurance Plus® warranty on patio doors secures vinyl extrusion performance for 30 years; hardware for 20 years and glass for 10 years. Selecting the Alliance Vinyl Windows Company is an easy decision, but choosing your windows from among the many options may be difficult! 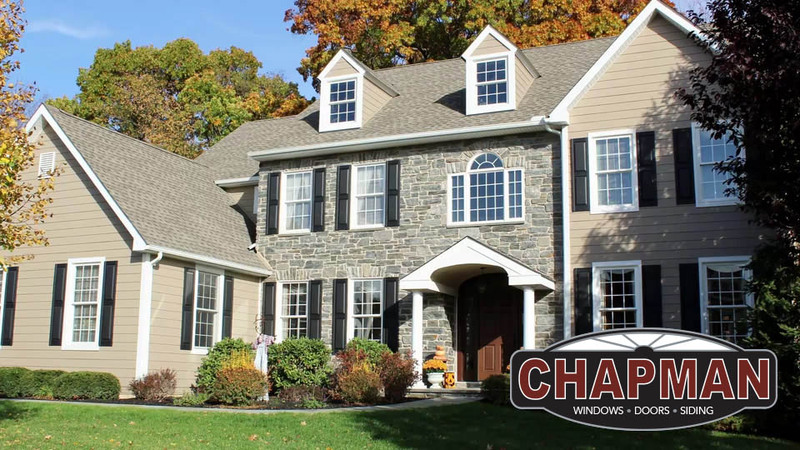 Our experts at Chapman Windows Doors & Siding are ready to help. Please stop by or make an appointment to learn more.